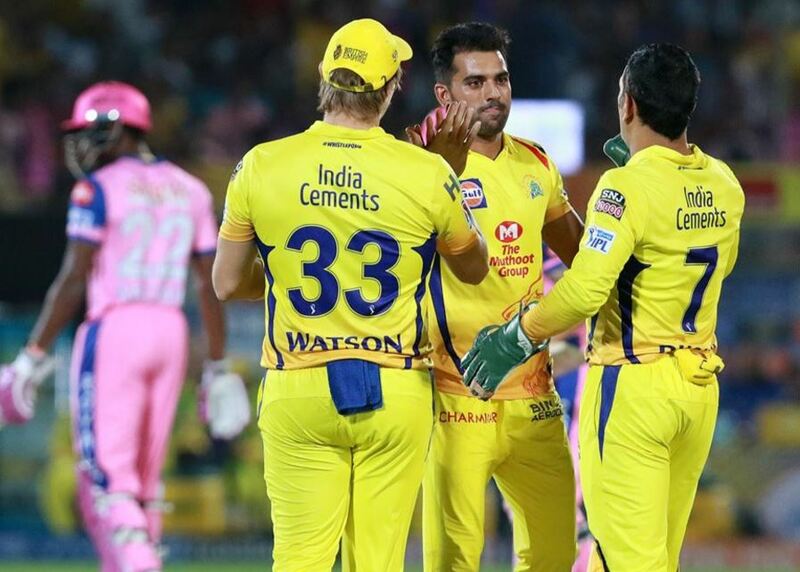 The players of the Chennai Super Kings (CSK) seem to have no negative bone as they have made it a habit of coming out winning in humdingers and the 12th edition of the Indian Premier League (IPL) is no exception. 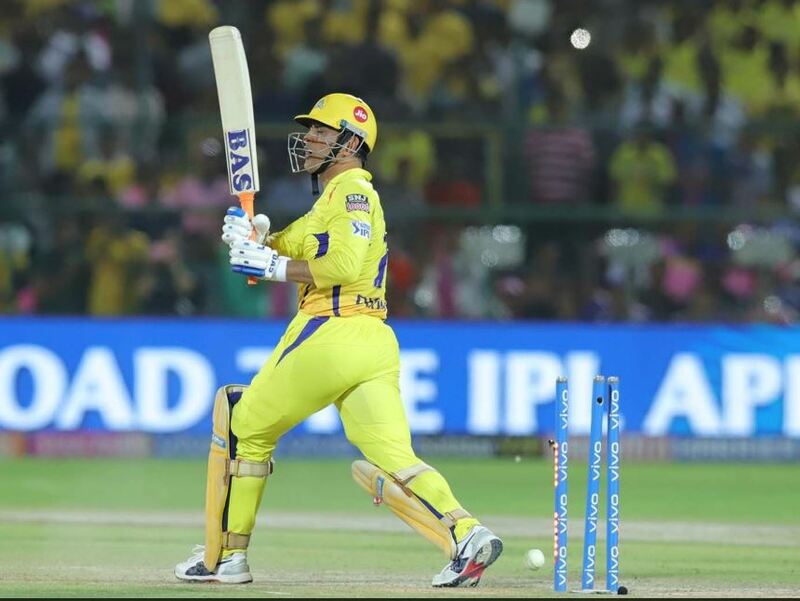 Under the leadership of MS Dhoni, CSK was in trouble during the run-chase against Rajasthan Royals (RR), nevertheless, the defending champions won by four wickets in the last delivery. CSK has now strengthened its position at the top of the points table. In the meantime, the Royals’ campaign in the tournament went from bad to worse. After winning the toss, Dhoni decided to bowl first and the Royals ended up scoring 151 for seven in 20 overs. Ajinkya Rahane and Jos Buttler started off well, but both perished in back-to-back overs. Even as Buttler fell prey to Shardul Thakur after getting 23 runs off 10 balls. Rahane was found in the front of stumps by Deepak Chahar. Mitchell Santner got rid of Sanju Samson in his very first over. Even Steve Smith and Rahul Tripathi got into the double figures only to be nipped out by Ravindra Jadeja. From RR’s perspective, no one could go and score big. However, everyone chipped in with decent scores in the lower order that helped RR to the competitive total. Ben Stokes, Riyan Parag, Jofra Archer, and Shreyas Gopal came out with some vital contributions of 28, 16, 13 and 19 respectively. During the chase, CSK got off to a horrendous start as the visitors slumped to 24 for four in 5.5 overs. Dhawal Kulkarni knocked over Shane Watson to strike first blood. Thereafter, Suresh Raina was dismissed by the direct hit from Jofra Archer. Faf du Plessis was nipped out by Jaydev Unadkat. Then Archer also dismissed Kedar Jadhav in the 6th over with the help of Stokes’ flying catch. After the stutter, Ambati Rayudu and Dhoni took the onus on themselves. Dhoni and Rayudu added 95 runs in 71 balls to gave some momentum into the innings and most importantly, got the visitors to a decent position. Ben Stokes removed Rayudu after he scored 57 runs from 47 balls with two fours and three sixes. The CSK skipper scored a fifty, but a superlative Yorker from Stokes dismissed him. After his wicket, Mitchell Santner got CSK home with an over-boundary over long-on off Stokes.